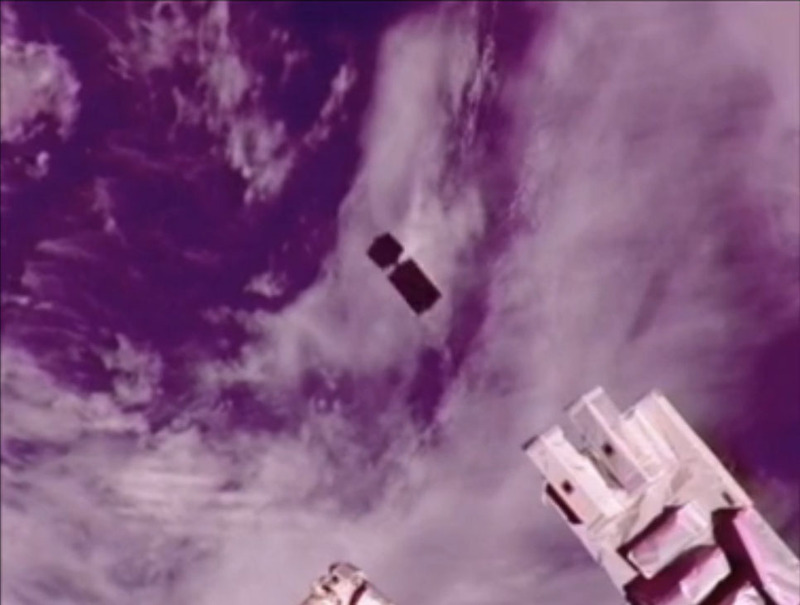 WE-WISH, one five CubeSats deployed from the International Space Station (ISS) on October 4, 2012. burnt up in the Earth’s atmosphere on Monday, March 11. On the AMSAT Bulletin Board Nico Janssen PA0DLO suggested it burnt up at 02:59 UT near 48 degrees North, 119 degrees East. 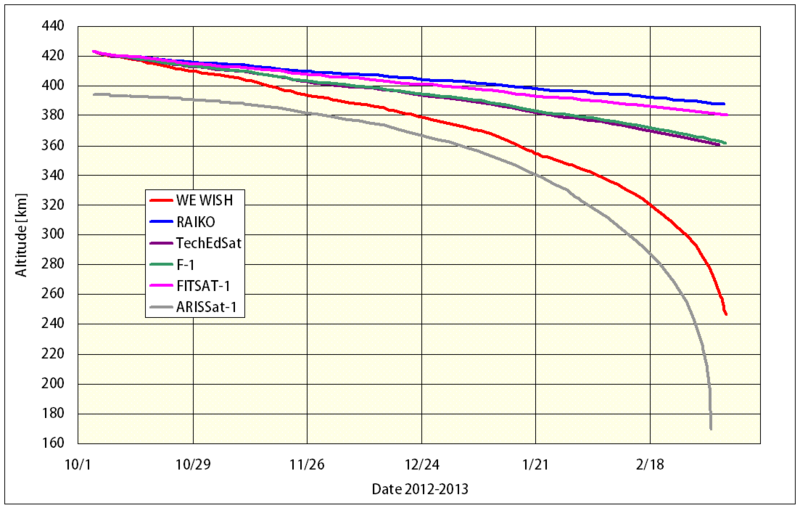 He says TechEdSat is likely to be the next of the five to re-enter sometime in April. Built by members of the Meisei Amateur Radio Club WE-WISH carried an infrared camera for environmental studies. The 320 by 256 pixels images of the Earth’s surface were transmitted in approx 110 secs using SSTV. The callsign was JQ1ZIJ and the 100mW downlink on 437.515 MHz operated on CW (A1A), AX.25 1200 bps packet radio (F2D) or SSTV (F3F). Masahiro Arai JN1GKZ has produced a chart that shows the declining altitude of the five CubeSats since their deployment. RAIKO was the largest of the CubeSats at about 2 kg and 10 × 10 × 20 cm and the others being about 1 kg and 10 × 10 × 10 cm. The chart compares their orbital decay with that of ARISSat-1/Kedr (30 kg, 55 × 55 × 40 cm) which was deployed on August 3, 2011 and and re-entered Earth’s atmosphere on January 4, 2012, having spent 154 days in orbit.